Winter 2014-2015 was the first winter back in Virginia since my 7 winters in Cyprus. And woah, has my skin changed! I was totally unprepared for the 3 months of “true” winter (February was brutal!). Cold, blustery winds, and little sunshine turned my naturally olive-colored complexion looking ruddy and dull. In Cyprus, aesthetics was a newly growing business (and, like all women with disposable income, it was a fast-growing business!). But I didn’t want to shell out the cash for facials and masks, especially if they were using product names that I wasn’t familiar with. It just wasn’t happening. So I followed suit with my ancestry, and found local, organic products from the earth that, when applied to face or the skin, made it GLOW. I find it *hilarious* that there’s a new “Greek yogurt” facial movement going on now. Greek yogurt has been used to remedy a multitude of skin problems for centuries, including eczema, sunburns, anti-wrinkle, and (the horror) yeast infections! It’s a great probiotic treat for your entire body. 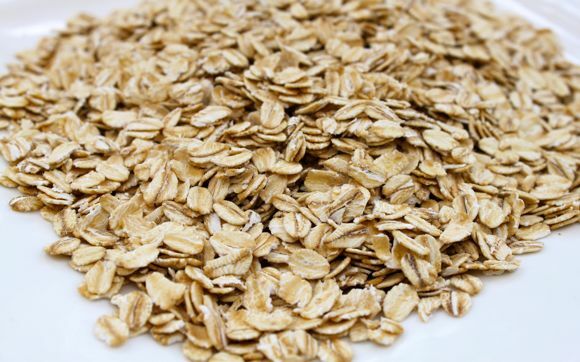 In a large bowl, pour a cup of hot water over oatmeal to soften it. massage into your skin for about 5 minutes in circular motions. Rinse off with warm water. Mix all in a small bowl. After washing your skin with the Oatmeal Peeling Mask, apply a thin layer of the Moisturizing yogurt and honey mask onto face. Your skin will be so soft, smooth and supple after the oatmeal peel and yogurt mask. The best part? Any leftovers can be eaten! Bon Appetit!